BYRON Bay’s traffic woes continue this holiday season with major jams across the CBD and traffic banked up on Ewingsdale Road most days. But, amid the chaos two colourful “Magic Buses” have been happily shuttling people back and forth from the sports complex on Ewingsdale Road for the second year of Byron Shire Council’s park and ride scheme. The free shuttle service involves two double-decker buses operating on a half-hourly timetable for those who take up the option of $5 all-day parking at the sports complex. Magic Bus driver Tim Eichler said he was seeing both new users as well as return passengers who used the service in its 10-day trial last year. The buses can hold 70 people and have run to full capacity in some peak morning and late afternoon periods, Mr Eichler said. “We had over 6000 Park and Ride patrons last year and the feedback was very supportive. Each year Council is aiming to build on the uptake,” Byron Shire Mayor, Richardson said. The shuttle service operates between 10am and 8pm and there are special two-hour parking restrictions in place in Byron Bay’s CBD, with both running until January 4. Mayor Simon Richardson said the town’s special event parking time limits have been put in place to help turn over car parking spaces and stop illegal street camping. 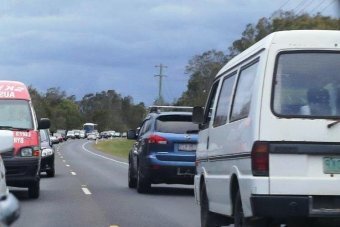 While the Magic Buses did their best to alleviate some of the congestion into Byron Bay this season, traffic flow on the Pacific Highway has seen queues of 5km from the Ewingsdale turnoff and drivers are advised to allow for additional travelling time. The park and ride Magic Bus will run from Byron Regional Sport and Cultural Complex on Ewingsdale Road into town from December 29 to January 4. All-day parking will be available at the complex for $5 per car. Additionally, a free shuttle will have two bus services each hour and operate between 10am and 8pm and up until 10pm on NYE. And like last year, a Special Event Parking Area (SEPA) will be in place during the same time. Time limits will apply for Belongil and Wategos and the streets west, east and within the town centre. Collect your SEPA permit from the Mullumbimby Council office until 24 December, or the Byron Regional Sport and Cultural Complex until December 23 and from December 29 to January 4. Find out more at the council’s website or call 6626 7000. The Byron Shire Mayor says a park-and-ride trial conducted over the Christmas holiday period was a fantastic success. Simon Richardson says about 6000 individual passengers used the service to get into Byron Bay’s CBD over three weeks. He says on New Year’s Eve about 180 vehicles were left at designated drop-off points. Cr Richardson says the system deserves another trial. “We learnt on a daily basis, almost on an hourly basis the first couple of days and the next time when we roll it out we’ll be able to tweak it and obviously costs will come down significantly,” he said. “But the really reassuring thing is that we had 70 per cent of the people that we surveyed gave it a 10 out of 10. “So those who used it, virtually unanimously loved it, and will do it again. “We want to make sure the next time we do it we’ve got sa bit more lead-in time, a bit more preparation. Will bus bust Byron’s gridlock? Byron Shire Council – and no doubt many residents – are hoping their innovative park ’n’ ride scheme will end the annual carpark that Ewingsdale Road becomes at this time of year. The bus will operate from Byron Regional Sport and Cultural Complex, Ewingsdale Rd, from Boxing Day (December 26) to January 12. On New Years Eve only, it will also operate from Byron Bay High School, Bangalow Rd. The park ’n’ ride bus will be free throughout the new year period except New Years Eve, when a one-off $30 fee will be charged. The Magic Bus is the centrepiece of the council’s summer strategy for the new year period, which also includes one-off parking restrictions in town and free all-day earlybird parking in Butler Street. A valid resident parking coupon or a yellow temporary Special Event Parking Permit will be required to exempt your vehicle from the two-hour special-event parking restrictions. Byron mayor Simon Richardson is the first to admit not everything has rolled out entirely smoothly but, as he told Echonetdaily this morning, that’s the nature of a trial. ‘As a trial we’re already learning things now. There’s all sorts of little tiny things that we’ll learn from and do better. I’m walking the streets, trying to get to every business in Byron trying to make sure they all have coupons for their staff. But the overwhelming majority of people approve of what we’re doing and in the spirit of a trial we’ll no doubt learn things that we can do better next time. Households and businesses should by now have received their two permits and are urged to contact Council at www.byron.nsw.gov.au if this is not the case or if they require more. The Special Event Parking Area (SEPA) two-hour parking zones will stretch from Red Devil Park to Belongil and will be in force from December 26 to January 1 inclusive. Mayor Simon Richardson said the purpose of SEPA was ‘to help prompt a change in behaviour’. Echonetdaily will monitor the effectiveness of the changes and report back on them during the holiday period. A twelve day Park and Ride scheme will be introduced as part of the Safe Summer in the Bay strategy. “Traffic congestion and parking is one of the biggest challenges our locals and visitors face over the Christmas period,” Byron Shire Mayor Simon Richardson said. “Providing affordable $5 all day parking at the Byron Regional Sport and Cultural Complex on Ewingsdale Road, and regular shuttle buses into town, is an obvious solution. “If we can keep cars out of Byron Bay town centre, this is a big step towards improving traffic flow in the highly popular town. “Areas of Byron Bay will be declared a special event parking area and a once a day 2 hour parking limit will apply. “Parking at the BRSCC will be the most affordable all day parking in Byron, plus another advantage is the increased turnover in car parking spaces to help stimulate the retail economy,” he said. From 26 December until 6 January, Council has declared Byron Bay a 2P Special Event Parking Area (SEPA). This means east of Belongil Bridge to south of Red Devils and everywhere in between, a 2 hour parking limit will be in effect, unless other parking laws apply. For example, anyone can still park in the SEPA but needs to obey the posted time limits, be it 1P or 4P and where no time limit is signed the SEPA 2P limit applies. It also applies after other time limit areas expire, for example many streets are time limited until 6pm, after which the SEPA 2P limit will apply. Exemptions to the SEPA 2P time limit are possible for “Permit Holders”, who is any Byron Shire resident that correctly displays a valid Resident Parking Coupon and by doing so allows, for example, parking all day in residential streets such as Butler Street. Special edition 12-day SEPA permits will also be distributed for those residents who don’t already have a permit. These will be provided FREE, two per household, to those eligible. Those already holding a valid coupon do not need the extra 12-day permit. As for those visiting Byron Bay, and think the existing 1P, 2P or 4P or the SEPA 2P time limit is insufficient, Council will operate a Park and Ride service from the Byron Regional Sport and Cultural Complex (BRSCC) between 10am and 10pm, except on New Year’s Eve where it will extend services to 2am and also operate from the St Finbar’s and high school cul-de-sac on the southside. Except on NYE, park and ride will cost $5 per day per vehicle and provide all day parking. On NYE Park and Ride will cost $30. Free all-day, “early bird” parking will also be made available for the twelve days at the Butler Street Reserve, except Thursday Farmers Market (2 Jan) and Sunday market day (5 Jan). Vehicles will need to be parked by 10am and can not leave the car parking space until 3pm. The Reserve will be closed at 6pm to car parking. More information on these measures will be provided to households. 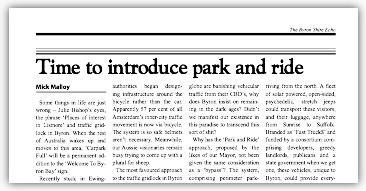 Introduce a park and ride scheme to take cars off the roads travelling to Byron Bay, sustainably manage visitor traffic, create a pedestrian mall on Jonson Street and modify parking zones to allow for shorter stays, thus encouraging vehicle to use long term parking options outside of town. Park-and-ride (or incentive parking) facilities are car parks with connections to public transport that allow commuters and other people headed to city centres to leave their vehicles and transfer to a bus, rail system (rapid transit, light rail, or commuter rail), or carpool for the remainder of the journey. The vehicle is stored in the car park during the day and retrieved when the owner returns. 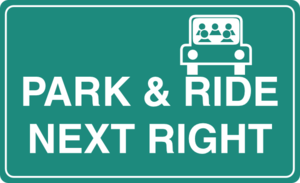 Park-and-rides are generally located in the suburbs of metropolitan areas or on the outer edges of large cities. Why do we need Park and Ride in Byron Bay? Traffic into Byron Bay is a serious problem that will only worsen. Alleviating these problems will be advantageous for both visitors and residents of the Shire. AADT (Average Annual Daily Traffic) data for 2004 indicates that over 20,000 vehicles a day crossed the railway tracks on Lawson Street, Byron Bay. To put this figure in perspective, this was almost double the amount of daily traffic on the Pacific Highway at Ewingsdale and about half the number of vehicles crossing the Queensland border at Tweed Heads. The most recent study states, somewhat conservatively, “Although the existing network is already showing signs of operating close to or beyond its capacity (long queues, delays, and poor travel time reliability), it is generally confined to weekends and/ or peak periods of the day. The occurrence of these visual signs is irregular and generally confined to summer holiday period; however, they appear to be increasing in occurrence.” This will only get worse, as projected figures indicate a 30% increase on traffic by the end of 2028. Increased traffic along Shirley Street also creates added pressures in town, as cars seek parking spaces. Although we accept that at certain times of the week and at certain times of the year there is considerable pressure on car parking when demand from permanent residents, short stay visitors and day trippers exceeds supply of available parking spaces, this is consistent with most other popular places in Australia and the rest of the world. The Byron Bay Traffic Study suggests at least 15% of traffic in the town centre is actually circulating traffic looking for a carpark. Aside from resident’s frustrations, either trying to move through Byron Bay for work purposes or simply to access the beach and town, the current traffic problems particularly along Ewingsdale Road/Shirley Street are seen very negatively by visitors. A recently commissioned visitor satisfaction report illustrated the negative impact traffic and parking has on visitors. The two highest areas of dissatisfaction for visitors surveyed were ‘parking’ and ‘level of local traffic in Byron Bay’. Doing nothing could jeopardize a nearly half a billion dollar a year industry. 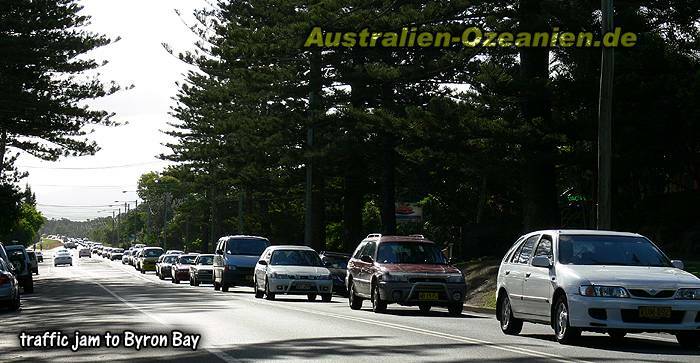 It is clear that traffic is one of the constraints on the number of visitors Byron Bay can handle. There is only so much traffic Byron can handle before the very things that attracts visitors to Byron in the first place is destroyed. For residents, there is only so much traffic we will tolerate before we feel the tourism industry is impinging unacceptable on our quality of life. Park and ride, traffic, transport and town livability challenges have been considered in various forms and to various degrees for decades. Council has already endorsed the exploration of park and ride as a viable, logical and vital component of its transport portfolio. Byron Shire Council, Draft Transport Strategy. Council identified Park and Ride Services and Byron Bay Town Centre Traffic: Congestion Relief and Improved Access as two of five strategic transport actions. h) need for high level of integration between tourism and transport management, including how to encourage tourists to visit and move around the shire by alternative or public transport. This report considered park and ride and concluded it could play it could play a role in alleviating parking difficulties. The links within the CSP to the community’s support for the alleviation of our traffic problems, developing sustainable tourism management outcomes, promoting liveability on our streetscapes and making our towns work for their residents, are numerous. How would Park and Ride work in Byron Bay? Through marketing and web based information, the visitor will be made aware of that part of the Byron Experience’ will be to leave the car out of town, similar to the French Alps, Noosa, Venice or Whistler. Being car free will be part of the Byron Experience. Directional signage will make it easy for visitors to find and access the carparks. A parking guidance system could be provided that measures long term car park occupancy in the CBD and provides information to drivers approaching Byron Bay. The information could be in the form of “Spaces”, “Near Full” or “Full” for each of the car parks. Cars will park in the designated sites, coming from the north, at the Byron Regional Sports and Cultural centre (BRSCC) and from the south, either Byron High School or Red Devil Park. The car spaces would be lit and secure. The BRSCC- park and ride was considered in its creation. There are 275 paved car spaces available, plus a large sports oval of similar size for overflow. Photos could be taken in front of fun boards, ‘magic buses’ etc. 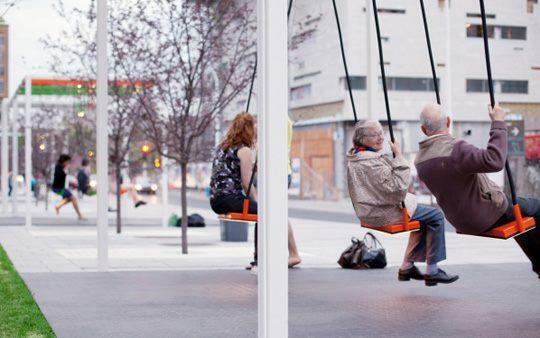 Creative, interactive activities could be available, like the wonderful musical swings in Montreal. These aspects would all be present in the locations for boarding on the return journey. ‘Byron Experience’ People Mover-It is envisaged that this would be a commercial enterprise. Council could charge a licence fee, either only to cover their own costs or as an actual source of revenue, if the service is commercially successful. At this stage, it has been assumed that the service would be cost neutral to Council. Buses will pick up every 15 minutes and drop off passengers at main beach, next to the surf club and the current Jonson street bus stop. The buses will be equipped with storage spaces for surfboards and beach gear. The best examples are airport shuttle buses, both small and effective in transporting passengers with huge amounts of luggage. Its first stop will be to a newly created (temporary) waiting area at Bay Street, Main Beach, before completing the block and stopping at the major bus stop on Jonson Street in front of the Byron Visitors Centre. 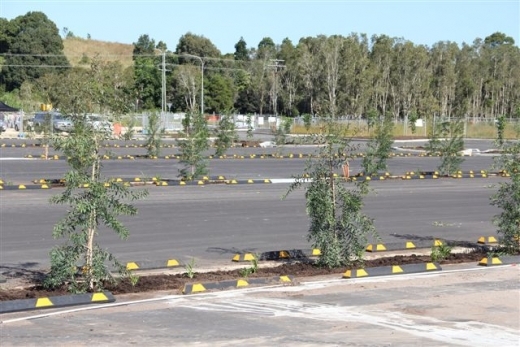 In order for Park and Ride schemes to be successful, they generally require the following conditions to be in place as noted in the Austroads Guide to Traffic Management Part 11: Parking. A limited and high cost public car parking system. A Park and Ride scheme would also require constraints on parking in the town centre. The free parking spaces would be changed to a shorter time, say ½ hour and one hour. A fast public transport service relative to the car – this can be achieved with the installation of a transit lane for buses, taxi’s and emergency vehicles. A competitive fare for the park-and-ride journey to/from the central area. It is crucial to consider the psychology of the tourist experience’ It is largely agreed by researchers, that, “it is easier to get someone who is in their visitor persona to reduce their car usage than it is to get someone in their work-a-day persona to reduce theirs, particularly if the visitor is promised an increased tourist experience.” With an openness to take more time getting from A to B, the benefits multiply. It will become a ‘point of difference’ from other coastal towns, something the business sector identifies as crucial for economic development. Residents who work or intend to stay for the day in Byron Bay will also use the service. Resident workers can leave the car and not worry about parking issues. In fact, anecdotal evidence from Noosa suggests that residents are a huge proportion of the users. Extra benefits for residents include being exempt from payment, or obtaining a yearly pass, in line with the current car parking voucher. A recent conversation with a past Mayor of Noosa Shire highlighted the ease and overall simplicity of the project, the low cost of its implementation, the success in traffic and parking minimisation and the economic benefits for Noosa Heads businesses and traders. Noosa began its journey towards park and ride from the Hastings Street and Noosa Junction Precincts Car Parking Strategy. 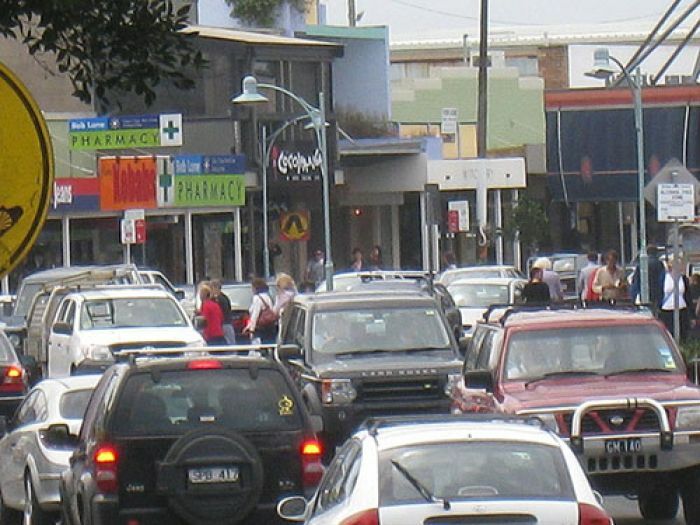 In 2004 a study was undertaken to determine options for better managing car parking and traffic in the Hastings Street and Noosa Junction precincts. Hastings Street and its approach roads are particularly vulnerable to congestion at peak holiday periods. The objective of the study was to identify a preferred option for managing this traffic, reducing congestion and increasing the person capacity of both precincts whilst acknowledging that there will be progressively increased demands placed on the transport network over time. 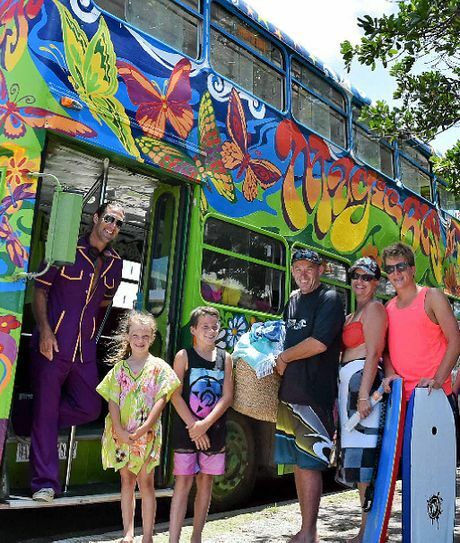 ” There might be no such thing as a free lunch, but in Noosa the free bus is very much alive over the peak holiday period. Sunshine Coast council has joined forces again with TransLink and Tourism Noosa over Christmas/New Year to help prevent gridlock from spoiling the good times and choking up the biosphere. Note that ‘tempers flared’ is written in past tense. Noosa’s Satisfaction surveys are positive, 1200 people participated in either face-to-face intercept or online surveys conducted from 26 December 2011 to 31 January 2012. 64% would use public transport in the future as a result of travelling on Free Holiday Buses. Mount Desert Island (USA), home to Acadia National Park, has instituted a free seasonal shuttle bus to permit continued growth in tourism without continued growth in traffic congestion and vehicle emissions. On Mount Desert Island, about 1.7 million people visit in the peak three months (an average of about 19 000 people per day). Aspen (USA) has established a non-profit car sharing organisation to reduce the residential parking demand. Research also shows great success across the European Alps and literally hundreds of towns, including many coastal towns in the UK, continental Europe and elsewhere. It currently operates in Hobart as well as Queensland. The project would be not only regionally significant, but would be a first for NSW. As it develops, other transport modes may add to the choice for the user; e.g, bike hire, horse and cart using the beach for access, or other entrepreneurial methods. With the huge decrease in traffic and thus, parking requirements, a pedestrian precinct could be created along Jonson street, improving the liveability and character of the street. Busking sites could also possibly be created. 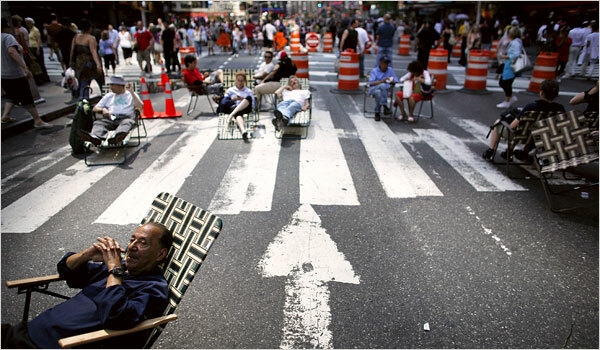 Nothing attracts a crowd like a crowd, thus the business benefits could be significant. Ideas to engage the patron of the mall are aplenty, for example, shopkeepers could provide chalk for road murals, flexible seating arrangements could abound, car spaces could be artistically designed. Once established, ideas and ways to engage with the space and develop interactive opportunities for residents and visitors alike could abound. The Byron Bay Traffic Study suggests at least 15% of traffic in the town centre is actually circulating traffic looking for a carpark. Thus, less cars entering town, equals less cars circling. The traffic searching for a parking space can be reduced by a combination of providing a convenient car park at the entry to town and by operating a parking guidance system using variable message signs to indicate when car parks are full or nearly full. This will be an essential adjunct to any options providing additional parking in the precinct. Also, by introducing hundreds of extra car spaces in the park and ride scheme, some CBD car spaces could be used for bike racks, or town beautification works. With less pressure on car spaces, and to create incentives for the use of the park and ride scheme, free car space times could be shortened to allow residents and workers to complete their tasks and business without having to compete for car spaces with those wishing to leave their cars for hours. Thus, it will be easier for someone to go into town to use the post office, do some banking, grab some take way etc, creating a more usable town for residents. The scheme could provide income for the BRSCC, turning it, at a minimum, into a cost neutral community site. It could also be a great revenue generator for either the Byron Bay Rugby Club or Byron Bay High School. It will decrease vast amounts of carbon emissions; there is nothing environmental about sitting in a traffic jam. There are also many intangible benefits, such as the improved environmental situation increasing the attractiveness of Byron Bay as a whole. 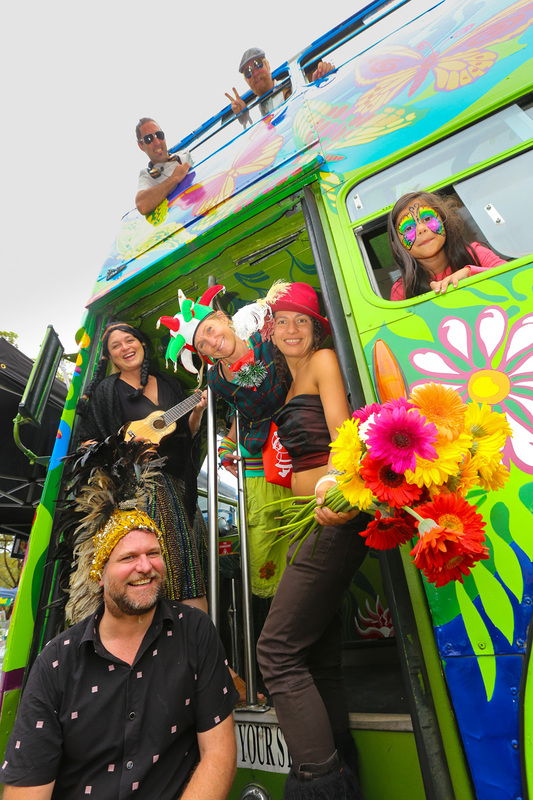 This initiative is not the panacea to all of Byron Bay’s transport woes. A bypass will still be needed to assist those moving through town do so within an acceptable time frame, thus, the park and ride scheme is envisaged to work alongside a bypass development to allow mobility to occur. In particular, the redesign and development of an appropriate roundabout at the Shirley Street/Butler Street is a vital part of the infrastructure required for a bypass. Thus, by building it as part of the P&R project, the bypass is also further progressed. It will allow quicker mobility for residents wishing to pass through town, especially from the Arts and Industry Estate to Suffolk Park. It will create commercial opportunities at the park and ride car park sites. The interstate and regular bus services could use the park and ride carpark, allowing hostel buses to also meet visitors there. This will free Jonson Street from the inconvenience of Bus traffic and parking and would open up the railway station park and wider precinct for revitalisation and development. Importantly, it will still drop visitors in front of the visitors centre as part of the bus loop. The creation of a park and ride scheme will: take cars off the road, generate income for both sites, allow for a pedestrian zone, help progress bypass options, could be cost neutral to Council and 50% of costs incurred to make it happen would be covered by the Federal Government.